Strong Southern iced tea blended with lemon and orange juices, with extra zing from orange and lemon zest. Makes a delightful brunch drink! 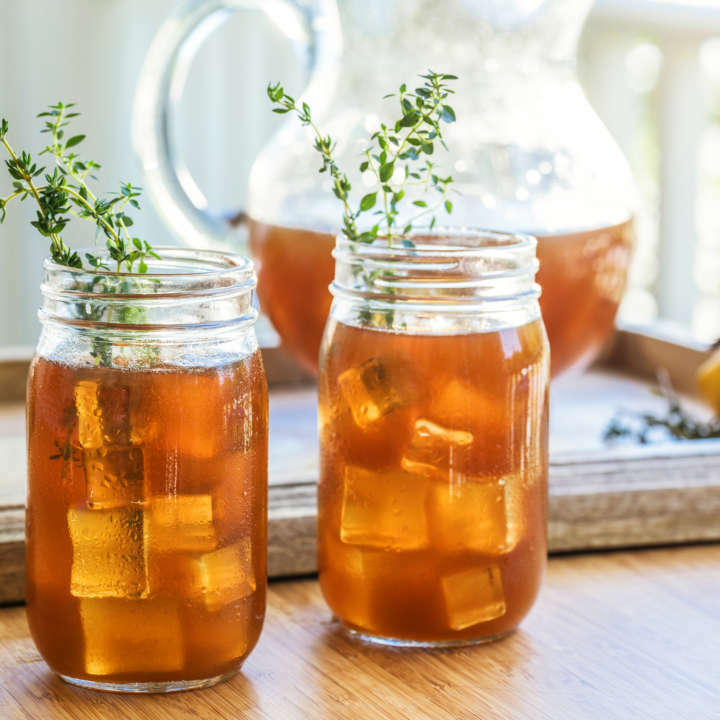 There’s nothing as refreshing and invigorating as a glass of home-brewed Luzianne® Iced Tea. 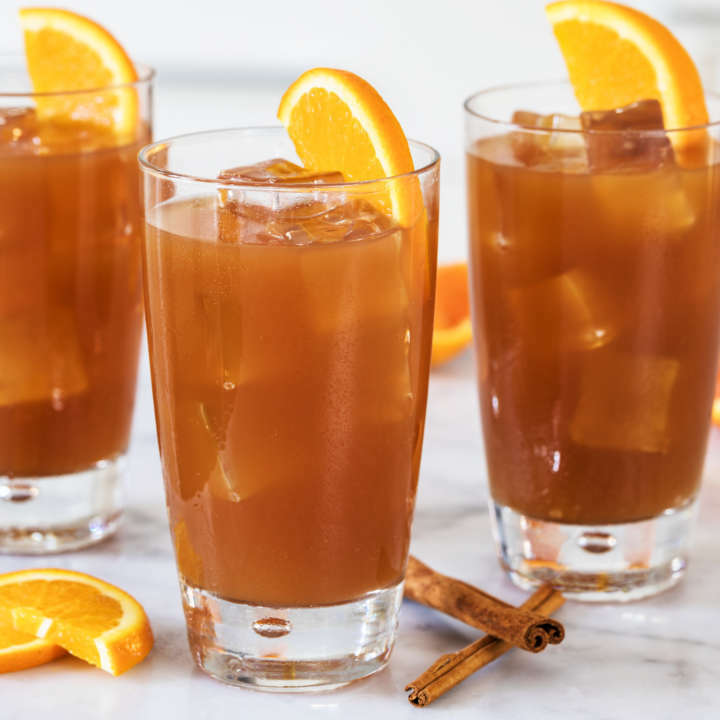 Steeped in over a century of tradition, our Iced Tea is a smooth blend of orange pekoe and pekoe cut black teas, carefully selected and specially blended for iced tea. 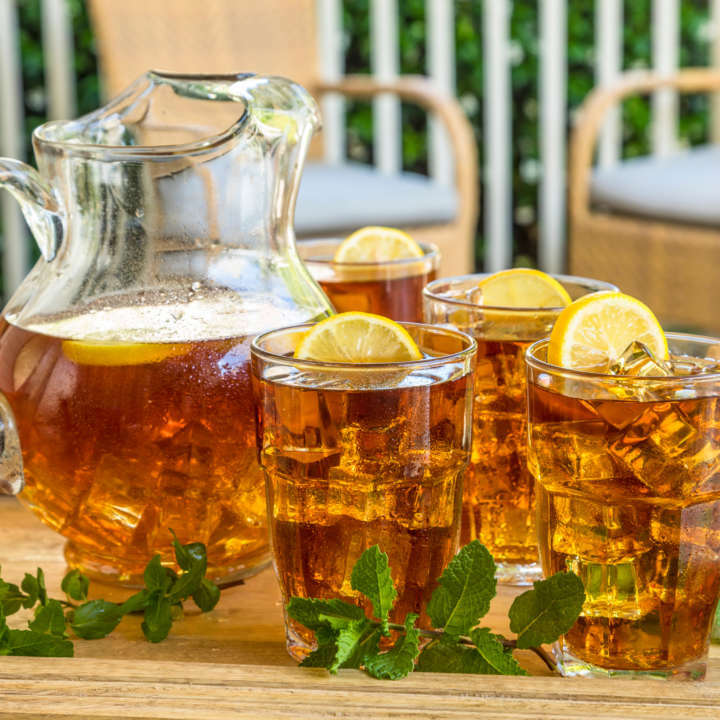 Got Luzianne® Iced Tea bags of a different size? 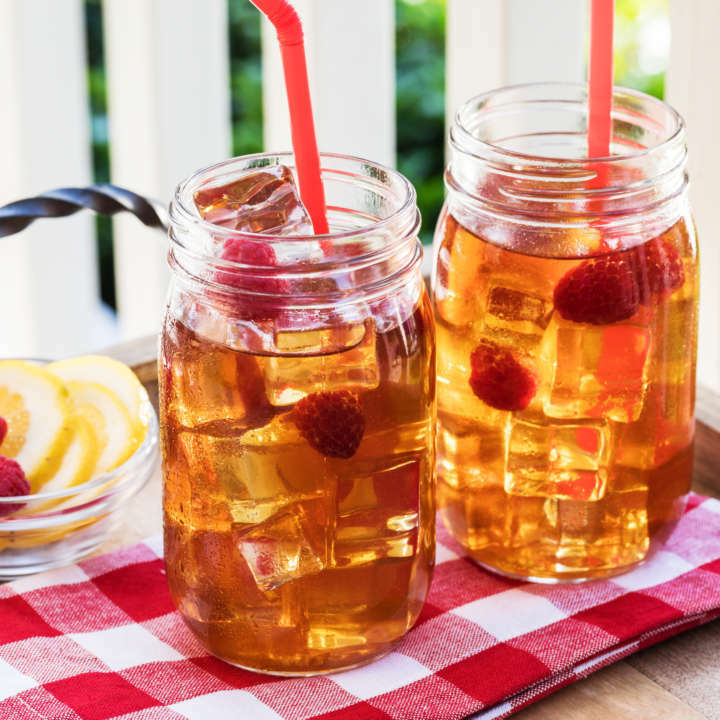 Our handy Luzianne® Iced Tea Bag Conversion Chart will tell you how many to use for this recipe. Using a vegetable peeler remove the zest from the orange and the lemon. Set aside. Reserve the fruit for another use. Prepare citrus syrup: Add the orange zest and lemon zests, 1 cup water and sugar to a small saucepot. Stir. Bring the mixture to a boil and cook until sugar is dissolved, about 90 seconds. Set aside to steep for 20 minutes. Using a fine mesh strainer, strain the solids from the liquid, pressing on the solids with the back of a spoon to extract as much liquid as possible. Discard solids. Place syrup in refrigerator to cool. While the syrup is cooling make a strong tea. In a pitcher, steep 2 tea bags in 2 cups boiling water for 10 minutes. * Remove and discard tea bags. Add the remaining 2 ½ cups water. Add the lemon and orange juices and the citrus syrup to taste, ½ to 1 cup; stir. Chill and serve over ice with orange and lemon wheels if desired. To make a refreshing cocktail punch, replace 2 cups of the cold water with 2 cups of chilled gin. *Alternatively, steep 2 bags of Luzianne® Cold Brew Iced Tea in 2 cups cold water for 10 minutes.